As I am writing this I have a huge smile on my face and can't stop looking at my new ring shining up at me haha. I am like a kid with a new toy, but my toy is better. I know some of you will be asking yourselves, 'another ring'? When Santa Claus and his reindeer's were about in the month of December, I was busy wrapping up presents for my very large extended family and that's when I noticed my ring had dropped off my finger. I did say to Andrew "it's okay I will find it at the end", as I wanted to get the wrapping over and done with. Upon putting the bow on the last present, I looked around me to see if I could find my ring in the mess of cellotape and wrapping paper, but there was no sign of it. We slowly cleaned the mess up bit by bit taking our time to carefully look for the ring and also checked the presents we had wrapped incase it was stuck inside one of them, but we never came across it. So the next thing we decided to do was, explain to the people when we were giving them their presents about the mishap with the ring and if they could unwrap there presents slow incase they find the ring. Could you picture them on Christmas morning getting all excited but sat there opening their present slowly by slowly. After all the slow unwrapping there was STILL no sign of it, so I had to just accept the fact that my ring disappeared strangely. 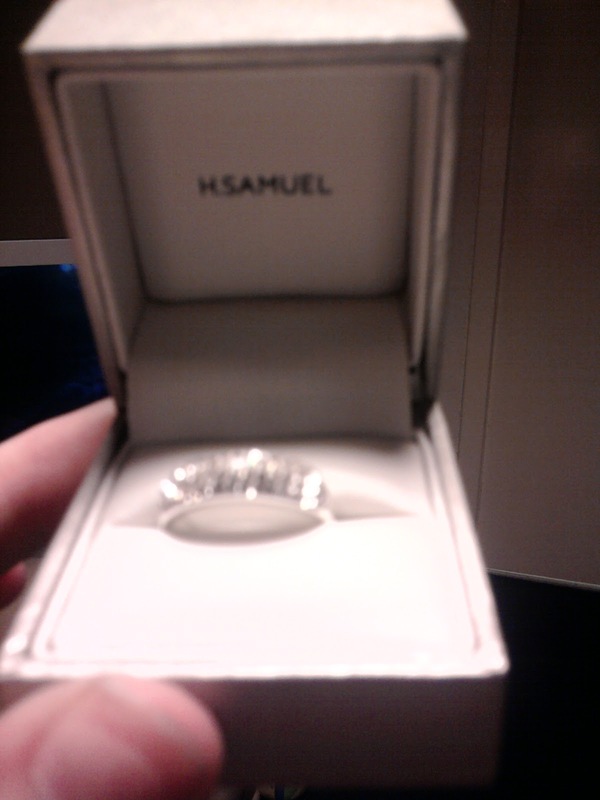 Today my lovely fiancée took me to H.Samuel to buy another one. I only like sliver so asked to view some sliver ones in size L. As soon as the lady put some on the counter in front of us, my eyes lit up as I saw a gorgeous ring. Straight away I said "I will have that one please". 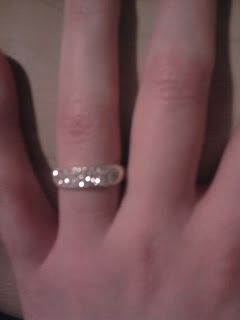 Now my empty finger has been covered with a lovely ring. Lucky you got another one - it's beautiful! Your new ring is beautiful but how sad that your old one never turned up. I lost a ring that was important to me and was broken hearted about it. I have three rings that I wear now and since losing my baby weight they are quite loose. I keep meaning to get them re sized - I would be devastated if they slipped off and I lost them.